As I reflect on the opportunities the Lord has given us with the teachers in El Salvador over the past few years, I am in awe. Neither the conferences we facilitate nor the Recursos (Resources) magazine we publish for them are the culminating point of our efforts, but they are a platform of influence the Lord has given us. We are not just working in one school, but we are working with hundreds of teachers, that work in schools throughout the country. Through them it's possible to make a great impact on the system of education in El Salvador. The multiplication of our efforts is powerful and only can be attributed to the hand of God. 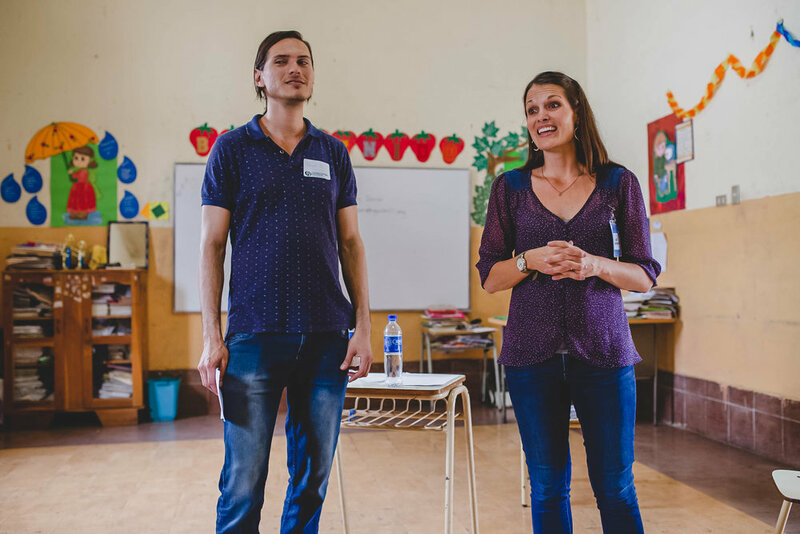 Magdalena teaches math to elementary students and English to junior high and high school students. Our team is equipping her through conferences and a publication in Spanish with practical tools to better serve students and their families. This moment meant everything to me. Most will never know the story of this teacher, her students, and their families. But to the Lord, they are worth remembering, worth our investment and they hold the potential for positive change in their society. This moment gives me hope for a more equitable future as we work together in collaboration as educators. We are bringing them the education and support that they deserve through our service. We remember their struggle and are working together to help them bring up the next generation. I am reminded of Paul’s words in 1 Corinthians 2:9: “What no eye has seen, nor ear heard, nor the heart of man imagined, what God has prepared for those who love him.” The type of opportunities the Lord has given us as a regional team surpass what I could’ve ever imagined just a few years ago. I believe that these teachers will change the fabric of the educational system in El Salvador. What is currently a very limited and routinized system of education is going to be transformed as these teachers willingly choose faith to try something new. To say how it is all going to unfold would be premature on my part. Instead, I know by faith that the Lord is going to continue to prepare something wonderful that far exceeds my best imaginations for the teachers of El Salvador. Please join us in praying for, and supporting this ongoing effort. After all, they are the best resource.